As promised, here is the APK file so you can install it manually if the Play Store is refusing to update the app for you. 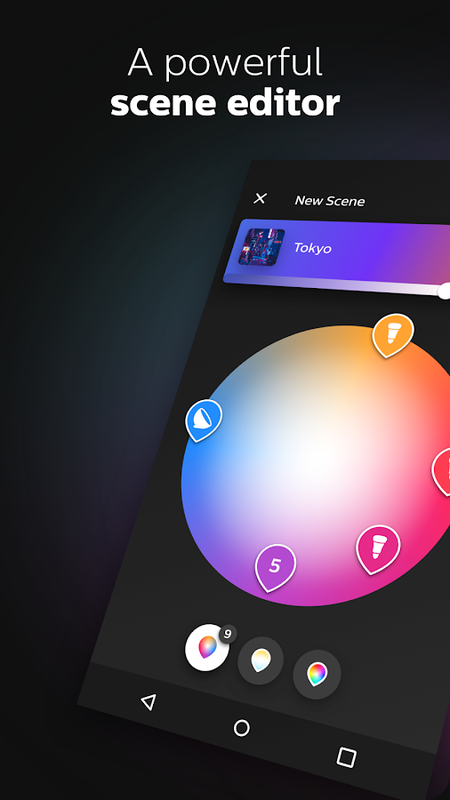 The update completely overhauls the interface of the Hue app with a more modern and colorful design. 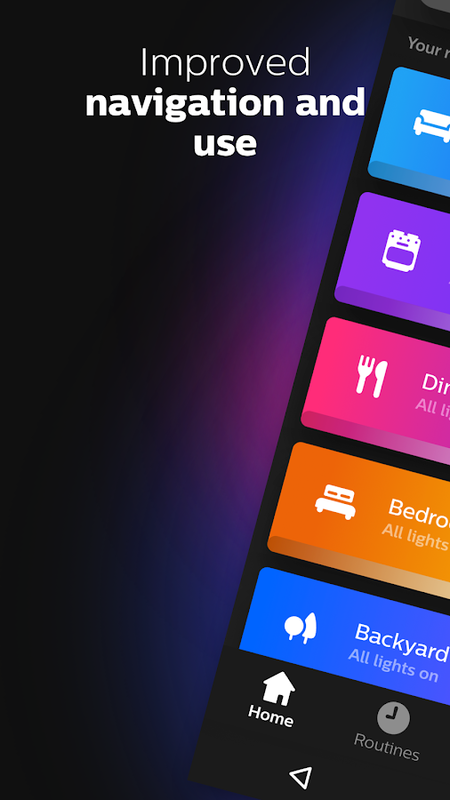 The colors appear more vivid than the previous version, the iconography is updated too. 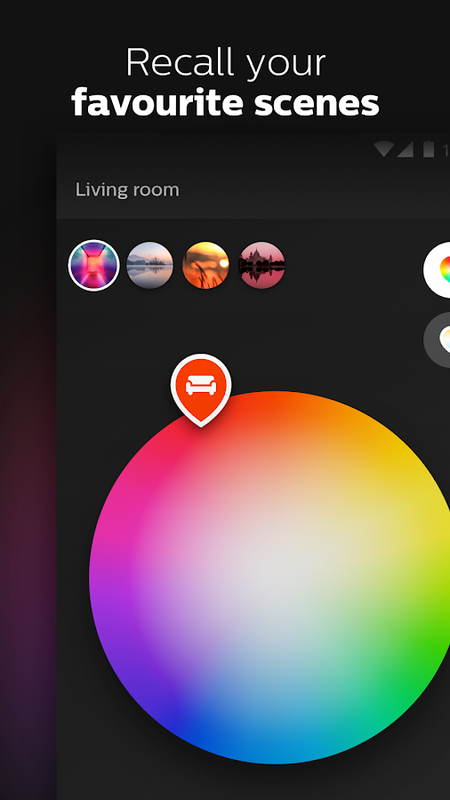 Looks aside, there are new shortcuts to change the color/brightness of a single light or an entire room, new color pickers, a new scene editor, and 30 new scenes. 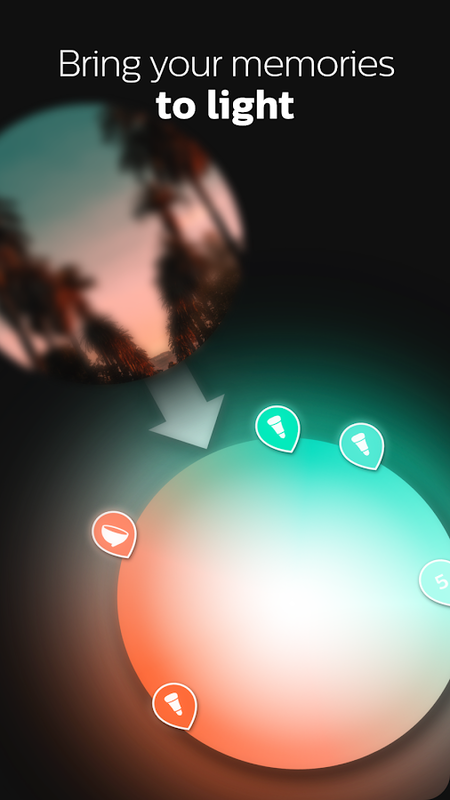 A tap and hold on the room or light will let you change the color or switch to one of the four last used scenes. 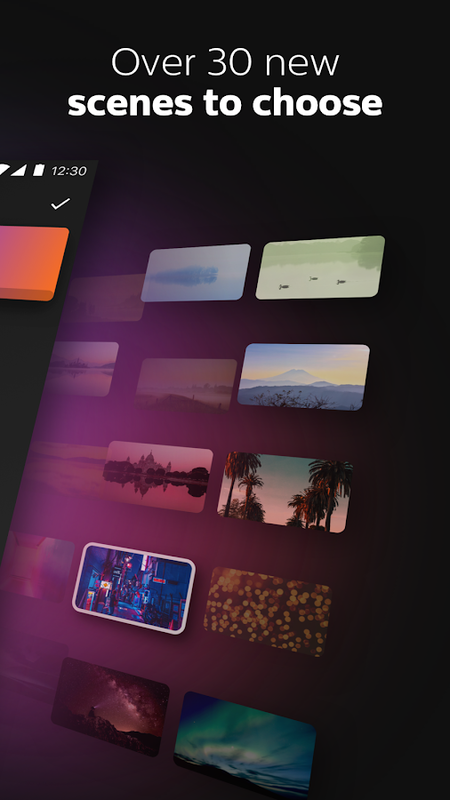 You can also extract colors from pictures and create a scene around them. 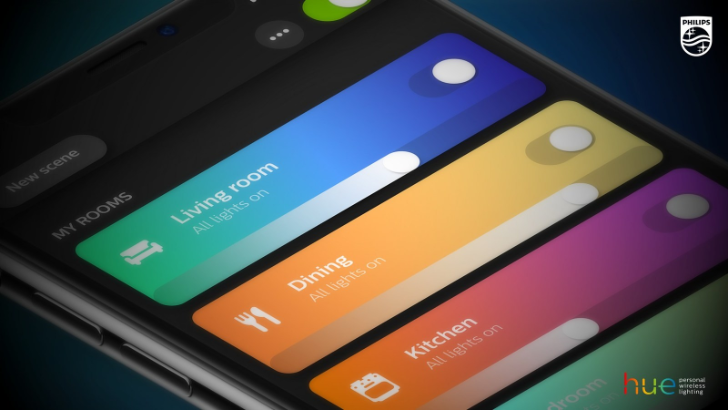 Beside that, the app still has its existing features of routines, home and away location-awareness, plus wake-up and sleep scheduling. 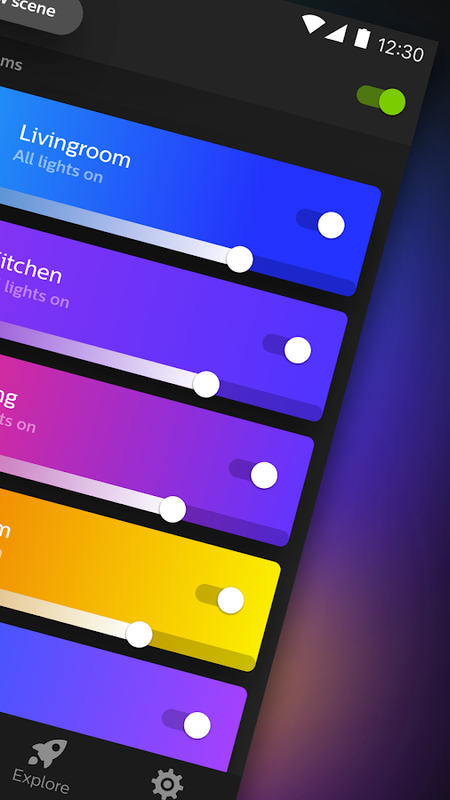 If you already have the Hue app installed, odds are the update has rolled out to you on the Play Store. If it hasn't, be patient. 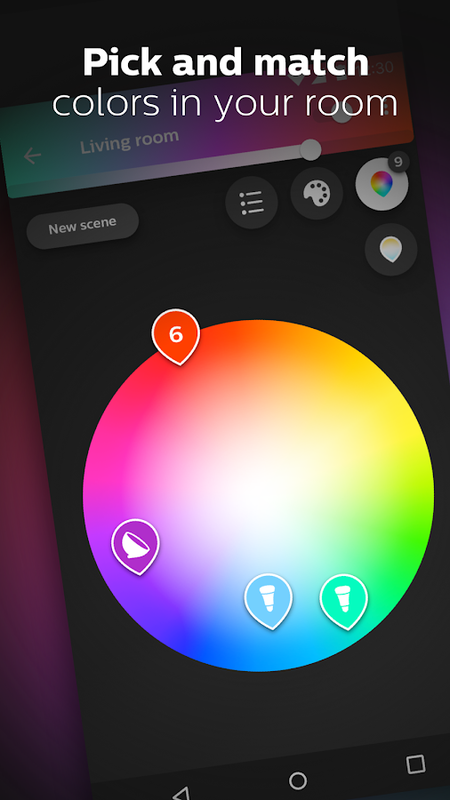 We're on the lookout for the apk file and will have it up on APK Mirror (link to the Hue page) when we get it.